Cube Horizon placed 6th in Assembly 2013! Cube Horizon placed 6th in Assembly Summer 2013 Game Development competition. This was the first game by Kaamos and we are very happy for the result :) Big thanks to everybody who tried out the game and who voted for us. 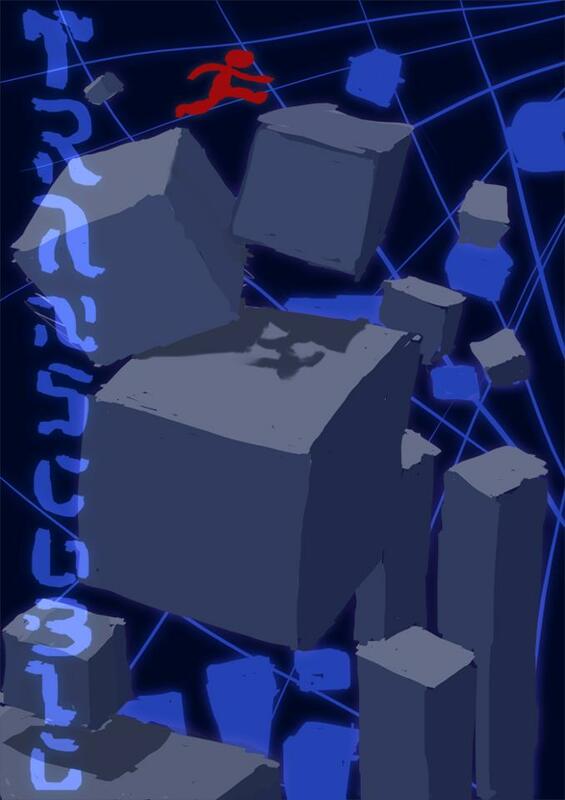 We are planning to continue developing Cube Horizon and would gladly hear any comments, if you have played the game. You can contact us on facebook or e-mail our producer: kai.e.ylinen[at]student.jyu.fi. Congrats to the winners and special compliments to Confused Amoebas, who were from Jyväskylä University as well. Well done, guys! There were total of 22 entries this year. Jury chose 16 to the voting and 6 were left out. Ladies and gentlemen, Kaamos Games proudly presents: Cube Horizon ready for download! 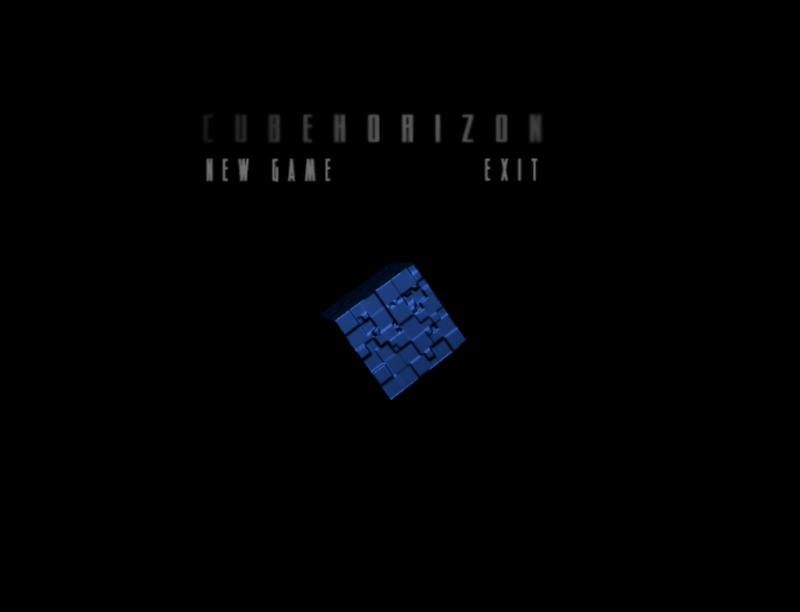 Download Cube Horizon (windows/mac) by clicking here or check out Assembly 2013 website for all the Game Development competition entries. Check out the trailer made for Assembly here! Would you get Daddy some minerals? In the beginning of January 2013 we were six noobs, who didn't know each other and had nearly zero experience of making a game. Tonight, on the last day of July, we have played the game called Cube Horizon, which is completely our own piece of art. We made it! 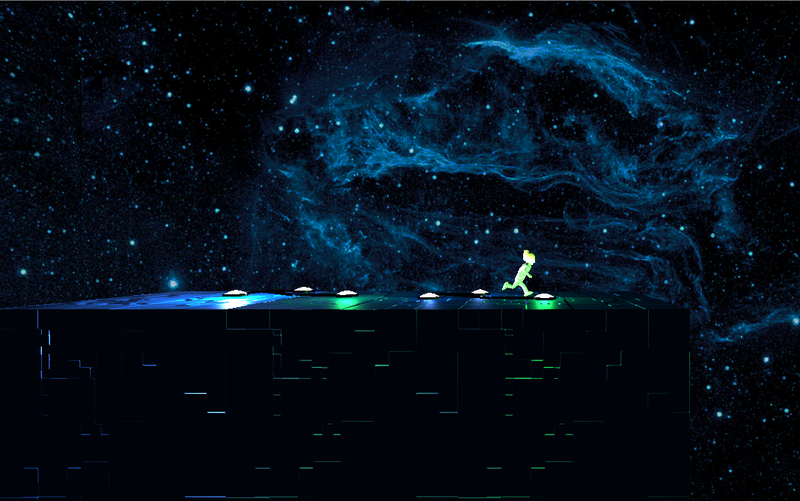 We have pulled together the final version for the Assembly 2013 Game Development competition. Here are some pictures and memorable moments from our awesome 7-month-long journey. Enjoy! In the beginning of the process, I loved the feeling that I am doing something totally new to me. I still sometimes have to pinch myself: have I really designed and made these levels? Have I really learned to add lights, sounds and texts? I felt excited like a child every time we got something to work, every time the process went forward just a little step. 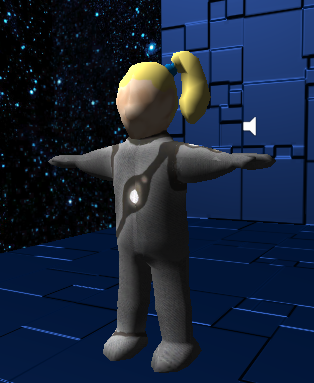 Yay, I can move the character! I can turn the world! Hey, this music sounds cool! Oh wow, we have background and textures! based on this sketch by Mikko Jakonen. 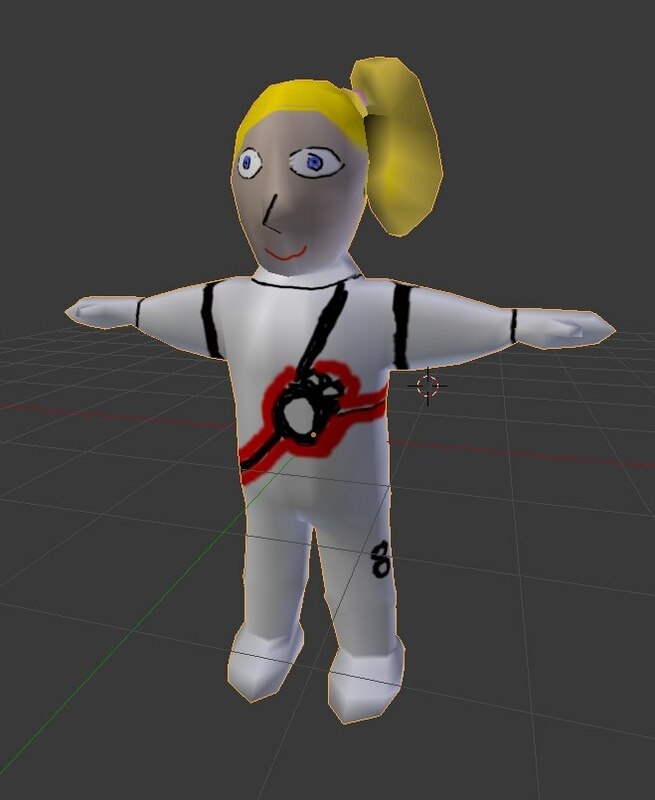 First version of the character's 3D-model. The character in July 2013. 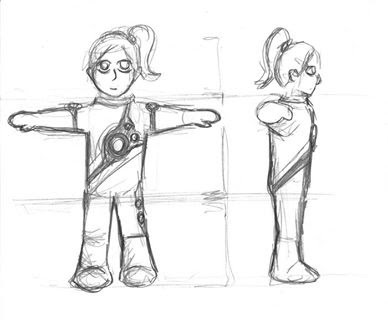 Character in Cube Horizon. Screenshot 31st of July. 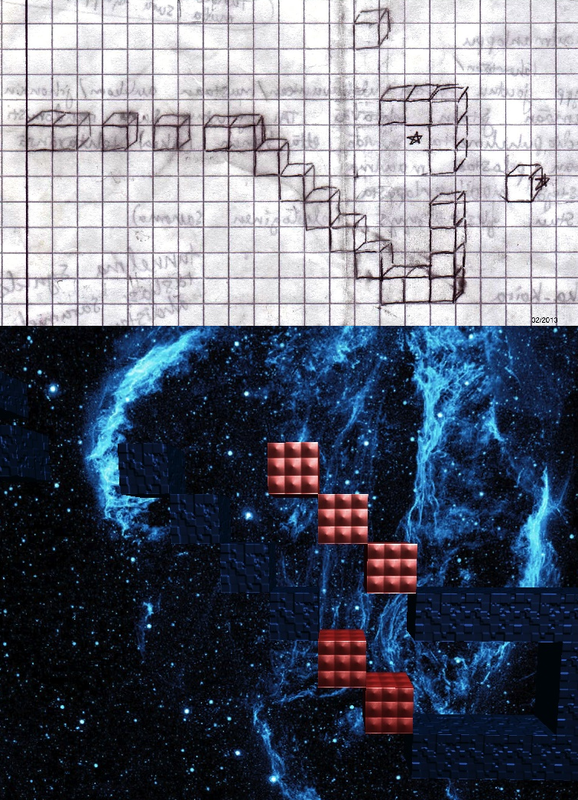 This is how our game looked like early in April 2013.
and the finished level below, captured in July. One of the most important moments for me was the game testing day in Yläkaupungin yö -festival. People came and volunteered to try out our bugged beta-version, which had 5 levels. It was touching to see people play, hear their comments and feedback and talk about our game and its development process with people. Our testers found many bugs we didn't know about. 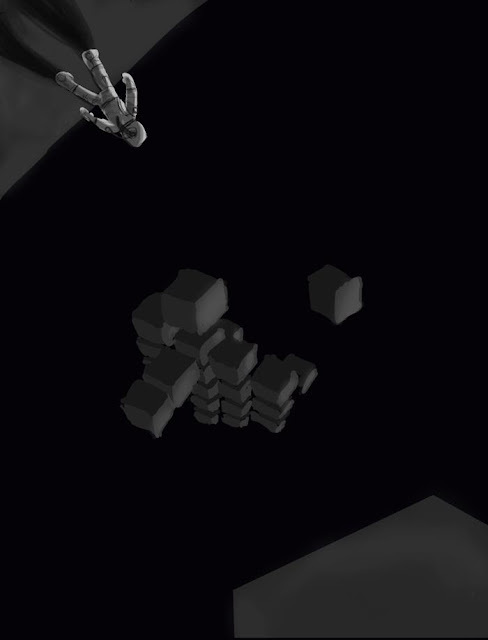 It's sometimes hard to find the bugs, because we usually play Cube Horizon "too correctly". We touch the buttons only in the order you are "supposed to", don't panic-press them at the same time and easily become blind to what is easy and what is difficult. All the people, who tested our game in Yläkaupungin yö or elsewhere, thanks to you Cube Horizon has become much better!! Now that I have played the final version today, I mostly feel amazed. Did we really do this? We, the six noobs? I also feel so damn proud. After a short summer vacation, we're back to work. Our first project phase ended in May along the Game Project Course held by the University of Jyväskylä. We scored the highest points possible (a five) for our game prototype and team work, so I guess we have something to be proud of. Some changes have happened since then. Our game designer Eetu left the project, since he will be spending the next year in other country. Our work routine isn't as hectic than it was before, because during the summer some of us live quite far from others. We haven't access to Pekan paja (a place where we used to meet and develop the game) either, since the course has ended. So we have had to do some adjustments. We had planned to publish our prototype for testing purposes in May as well, but we decided to postpone the date. After the presentation and testing events in Yläkaupungin yö and JKL Expa, our next step is to participate to a game development competition held by Assembly Summer 2013. Because of the competition rules we couldn't publish our game just yet. It also had a massive bug (and quite a few smaller ones) that we really wanted to fix before sharing. All the competition entries will be playable via Assembly website quite soon. You can also vote! We'll post details later on. Me, Mikko and Kata will be participating to the Assembly event on 1st-4th August, so we're available for conversation and stuff. :) The competition day is on Sunday the 4th, and that's when we'll have the estrade once again. The version currently uploaded to the competition management system is yet quite buggy and unfinished. There's three more update possibilities though, so at the moment we're busy fixing things up. Time flows again, and I'm excited. We had an urgent need for a male voice actor to play the role of our father-character. We didn't want him uttering and mumbling with a strong Finnish accent (you know, that most horrible one), so basically every one of us was out. We didn't really trust our acting skills either. Instead, we decided to search for one. The requirements for the task were quite simple: fluent pronunciation of English, charismatic male voice, preferably some experience of acting (but mostly an ability to throw oneself along), and maybe some love for digital games. The role was offered to the students of University of Jyväskylä via posting lists. Offering a job based purely on voluntary work was a task I personally thought to be kinda hard. I expected to receive about five applications, since it wasn't a job to be paid for. We considered offering movie tickets or at least some credits for studies, but even those thoughts had to be buried. The only catch we had to offer was a different kind of acting experience, and a chance to do it better than somebody else would. How wrong was I! :o We received 42 applications. Not one of them would have been a bad choice. People seemed actually excited to participate. Selecting only one was probably the hardest thing I've had to do within this project. I also realized that there might be something more to me not getting job interviews than a failure on my part. Nevertheless, we found and chose one awesome fellow, Tapio Hänninen. Tomorrow we shall do some seriously fabulous voice recording, spending most of the day at a studio. Producing sound´s to this game has been an interesting task. This is the first game project I have been in and I have learned a lot about audio production of video games, and also about teamwork and time managing etc. 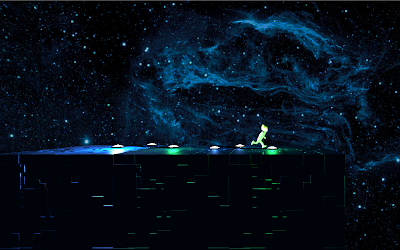 Creating music for this game has been quite challenging task. I have produced some ambient music and also some minimalistic orchestral stuff. Later we will see what musical pieces will fit in with different levels of the game. I have no previous experiment in producing ambient music but I have found some useful tools like time stretching and various synthesizers, so I´m gradually getting a hang on it. Producing sound effects has also been interesting and I have used various methods in producing them. To mention a few, I have showed the sneezing panda- video to my girlfrind and recorded the laugh. I have also recorded frying an egg as well as the usual running and jumping sounds. Important aspect of the game will be the speaks and we have started looking for voice actor for the role of "the father". Speaks will be recorded in the near future. Recording sound effect-"Main character gets fried"
I will maybe add some music examples when I have time/I´m not in so lazy mood. Cube Horizon has moved forward with a nice pace this week. On Friday we gathered together for half a day at the university with the whole Kaamos team to work together on the project. So far we have worked mostly separately at home and only gotten together to have a meeting once a week. Working together felt very useful as we could help each other with problems and discuss solutions. Katariina worked with the first level and it's starting to look pretty good. 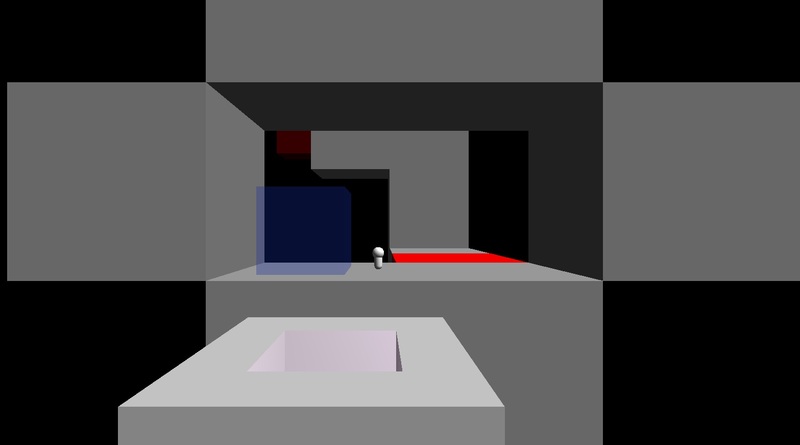 Eetu was working with a later level from yet undefined part of the game and the tricky jumps he created seemed really challenging. I worked myself with two new features this week. 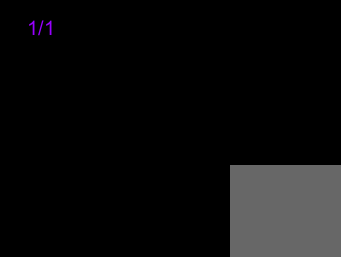 It's now possible to collect the minerals in the levels and the game keeps count of the number of minerals left in the level. 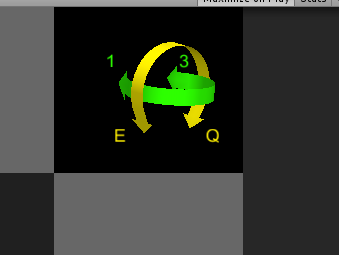 The next thing I'll start working with will probably be the animation code. 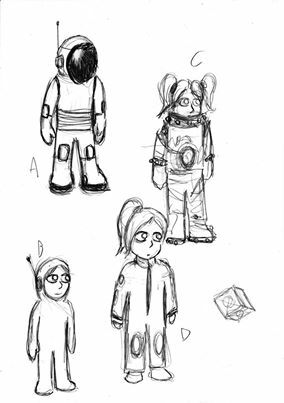 The hours resourced for the game are starting to wear thin on my part and I want to make sure that we have an animated character when the prototype will be published in May. © Kaamos Games 2013. All rights reserved.